Naps - photovoltaic systems since 1981. Finnish Naps Solar supplies high-quality photovoltaic systems for home, leisure, business use and demanding conditions with four decades and over 250.000 installations experience. How do I calculate the size of the photovoltaic system? The size of a typical on-grid system is designed based on electricity demand and available space. The designing of the system requires the exact geographic location, solar module installation conditions and for example information on electrical equipment that is to be used by the electricity produced. Using the design tool below (currently only in Finnish), you can estimate the size of your typical on-grid photovoltaic system based on the location of the property. Please contact our B2B sales to hear more about the calculation and designing of our systems. Solar photovoltaic is the electrical current produced by light in solar cells in the solar module. The light is transformed in the cells directly into electricity that can be used in electrical equipment, fed into the electricity network or stored on a battery. Naps is a leading solar photovoltaic solution provider in Finland and the Nordic countries with global deliveries to all continents of the world. 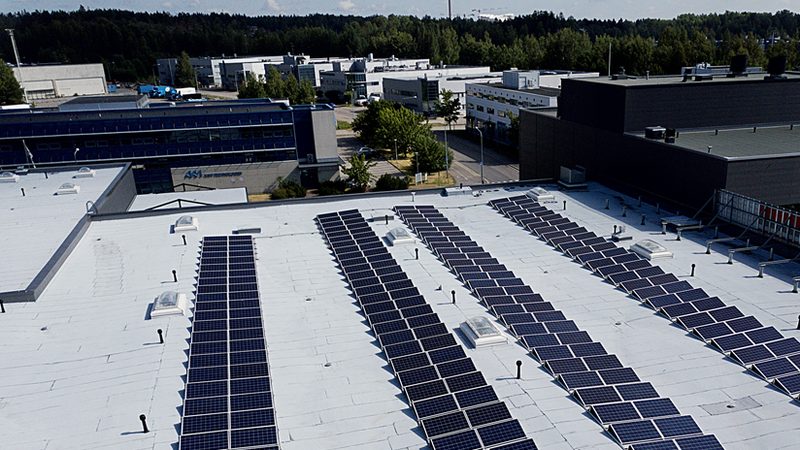 We have delivered tens of thousands of photovoltaic systems in Finland during our operations and we are still responding to the delivery of the highest quality solar photovoltaic solutions in Finland. Today, photovoltaic energy is the fastest growing form of energy production in the world. Naps continues to bring environmentally responsible electricity responsibly to where sunlight is available. Our systems can be found in different conditions installed on each continent from the poles to the equatorial. Technological superiority requires high-quality development work. We guarantee the quality we supply.